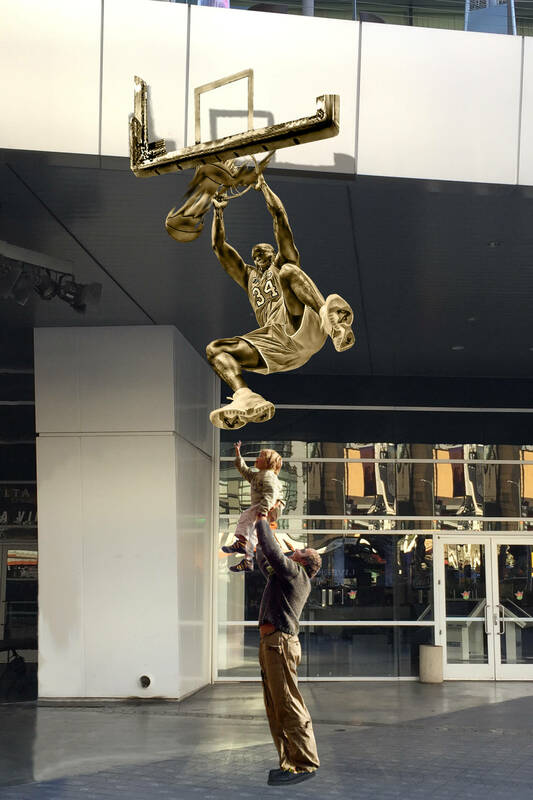 It looks like Shaquille O’Neal is up next to be immortalized in the basketball community, and all of us at The Fine Art Studio of Rotblatt Amrany are so pleased to finally announce that we will be creating the statue! 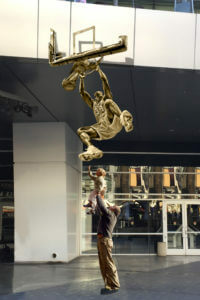 O’Neal learned the news for the first time on-air during this Wednesday’s episode of Jimmy Kimmel Live, when he was shown a rendering of the statue above created by Omri Amrany. O’Neal is also rumored to be elected to the Naismith Memorial Basketball Hall of Fame, and during his interview he confirmed that if he was inducted he would enter the hall as a Laker. Inductees will be unveiled in April, with the induction ceremony in September. O’Neal’s statue will be unveiled at the STAPLES Center next Spring! On March 24, 2017 the “Shaq” O’Neal statue will be revealed in Star Plaza, its permanent location, before the Lakers Game. The ceremony is free to the public and the event will feature speeches from Shaquille O’Neal, his team members, colleages and friends from his NBA career. Get more details and tickets here. O’Neal has completed eight seasons as a Laker (1996-2004), had his jersey retired in April 2013, and his statue will join the other greats created by our studio in front of the Staples Center: Magic Johnson, Kareem Abdul-Jabbar, Jerry West, and Chick Hearn.